A couple of writing pals of mine once got into a debate over whether to characterize a mutual friend as a writer. She penned a novel-length journal of her summers with her grandmother. She had no intention of publishing the material or sharing it with anyone. She merely wanted to record those memories somewhere safe, unspoiled, and permanent. One of my pals didn’t consider her a writer because she wasn’t interested in improving her work via sharing it with others or taking writing courses. My other friend said writing was her hobby and that made her a writer, regardless of quality. Personally, I think the woman in question is indeed a writer. We need to be a little more careful in the assumption that all writers want to be published or want to share their work. Someone who dabbles in a flower garden in her backyard can be called a gardener just as easily as one who grows flowers and sells them at a farmers market. One is a professional and the other is an amateur, but they’re both gardeners because they devote time, attention, and passion to flowers. The term “writer” is broad, defining anyone who employs words to relate stories or convey information, whether for personal enjoyment or with the object of becoming published. 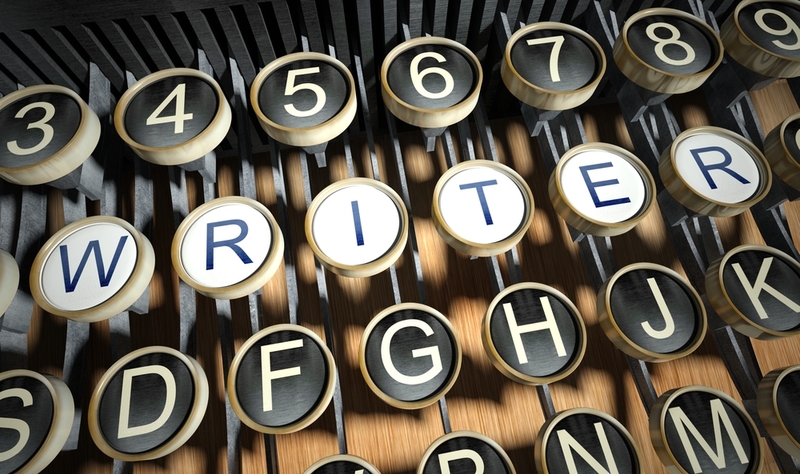 A writer is a writer when she devotes time, attention, and passion to the written word. So you’re a writer. But what kind of a writer are you? Because the definition of writer is so broad, this means that there are many, many different approaches, processes, strategies, and goals that a writer may follow. There are many kinds of writers out there! I like to think of writers on a spectrum with two specific ends: exploratory and intentional. Most writers fall somewhere between the two, possessing characteristics of both exploratory and intentional. To determine where you might be on this spectrum, you need to consider the degree and nature of the effort that you put forth on your writing journey. ~ Your writing proceeds breezily, devoid of pressure to perform. ~ Publishing is not a priority. ~ Fitting writing into your schedule isn’t an issue; you do it when you feel like it. ~ Going for several days without writing doesn’t trigger withdrawal symptoms. ~ Enjoyment trumps improvement if the latter compromises writing the way you want to write. ~ Polishing and proofreading aren’t viewed as necessary antecedents to sharing. ~ Sometimes you welcome feedback on your work, and sometimes you’re ready to learn from it. ~ You possess a working knowledge of the craft. ~ You want to write for a living, to be published, and are willing to take the requisite steps. ~ You chomp at the bit for every opportunity to write; making time to do so is a priority. ~ Not writing on a regular basis triggers withdrawal symptoms. ~ You treat the act of writing with respect, strive for quality, yearn to learn and grow. ~ To hone your skills, you read up on the craft of writing, are willing to work every day, seek feedback, criticism, support, and advice from others. ~ You join writers groups or attend conferences to learn the craft and to meet other writers. Remember, most writers sit somewhere in the middle of the spectrum, possessing multiple characteristics from each end. Some intentional writers, for example, do not write every day, and some exploratory writers are eager to write for a living. What characteristics of a writer do you possess? Are you surprised you tend toward an exploratory writer’s approach even though you want to be more intentional? Or vice versa? Are you smack-dab in the middle? Fret not. Transition is possible in either direction, if that’s what you want. Don’t feel ashamed if you find that despite your desire to be published, your effort seems to be more exploratory at this point. There is a learning curve and lots of terrain to navigate. Personally, I think we all need to explore before we become intentional anyway, so embrace the opportunities that come with adventure. Too soon, things will get pretty darn serious! If you’re feeling like you’re ready to be more intentional and not quite sure how to start, think about changing your writing practices. ~ Can you write for longer periods of time or more often? ~ Do you have a dedicated writing space? ~ Can you join a writers group, or if you’re already with one, should you consider making a switch? ~ Are you keeping your material? Even the rotten stuff? ~ Are you journaling? Try writing about this very conundrum—your struggle to make a more intentional effort. ~ Consider whether you are prepared for the long haul. For example, researching the industry and your potential audience will help you make some long-term decisions. If you’re feeling neutral, that your efforts are in equal parts exploratory and intentional, don’t panic. Your ambiguity doesn’t necessarily mean you’re on the wrong path. Time and practice (writing every day, which the Time Warrior in me gleefully advises) will eventually lead you in the direction that’s right for you. Here’s the deal—whether you’re exploratory or intentional or somewhere in between—you will not feel the passion for your manuscript every single day. You’ll forget to make dinner for your family because you were resolving a dispute between your characters. You’ll write material that you hate. You’ll eavesdrop on people in public and you’ll make your high school enemy a villain in your book. You’ll read your drafts to your cat. You’ll question and accept each step of your journey. But that’s the life of a writer. I’d love to hear what characteristics describe you as a writer! Comment in the box below and let’s discuss! “You’ll read your drafts to the cat”…..I like that. A cat is far more likely to listen than anyone else. I also like the idea of a writing spectrum. I don’t think I am on it, although I hope the letters and blog posts and small things I have written over the years will be a pleasant addition to family history. I wonder if author is a word suited to the intentional writer? Normally, I would say that yes, an author would be more intentional than exploratory–however, I have to qualify that by saying not all authors fall under the most strict characteristics of intentional authors. I think there are more than a fair share of authors who work enough just to get by, then pop their indie book on Amazon and wail “Buy my book! Buy my book!” Not sure how “intentional” that is. My followers, including yourself, are lovely and generous people. It’s a joy to communicate with everyone. Indeed! I was once *that* writer who thought she wasn’t a writer because she had nothing to show for it. But time and perseverence taught me that we all have to start somewhere. Faulkner and Rowling and King certainly weren’t born with their completed books in hand!! So true. I’m sure you have found this also, Kate. Through my creative writing classes I have come across some amazing, incredible writers (and their stories) which will never be published. Most of these writers write for the pure joy and satisfaction of it. How great is that? I get pretty giddy when I meet a writer who writes for the simple joy of writing, and I have a few in my classes too. Writing for the pure joy of it seems rare among writers these days. I’m not sure why. Could it be the pressures of oh-so-easy indie publishing, and now a writer seemingly has no excuse not to put their work out in the public? Interesting post. I consider myself to be a writer because I write a blog. The place in which I publish my writing does not a writer make. It’s the desire to write, badly or well, that makes a person a writer. That being said, I’d describe myself as a former intentional writer who is morphing into an exploratory writer who still treats “the act of writing with respect, strive for quality, yearn to learn and grow.” I studied English and communication in college so I’m trained in writing, but find that as I get older I no longer have a compulsion to write daily. I love writing, but it is just one thing that I do now, instead of being my everything. I think there are quite a number of people who have morphed from intentional to exploratory due to all kinds of reasons: the difficult publishing industry being hot number one. In terms of publishing, above all, whether one treats writing with respect is my measuring stick that I use when I judge a book and its writer. I really can’t handle the so-called authors who misuse the self-publishing industry to showcase books they didn’t write with their hearts. That’s just my personal flack. I know anyone has a right to publish whatever they want, but I can’t tolerate when someone abuses the craft for the sake of money or fame. I think it’s quite common for many writers to move along the spectrum from one end to the other, back and forth, while they navigate all the aspects of writerhood. It ain’t easy. I can’t imagine you giving up, though, Jacqueline. You’ve invested far too much by this point. Everything you have done has helped you learn and grow, even if it feels more like you’ve been beaten to a pulp and left for dead. I know that feeling. But you can’t deny, today, you are a stronger writer than the first day you set out. And that means so much. I’m definitely an intentional writer, but unfortunately I still don’t manage to write every day, particularly in the summer when it seems everyone’s schedule is off. Plus, I’ve found the more I write, the less time for actual writing I have. Meaning, the further we get in this game, the more other writing responsibilities creep up: marketing, helping other authors, creating ancillary content for our books, etc. And then there are those times I get lost in the social media spiral and don’t resurface until my supposed writing time is over. So being an intentional writer doesn’t always equal productivity, at least on one’s manuscript. Writing every day is very hard, I agree. I got to the point where even if I wasn’t able to sit down long enough to focus on my main project, I could at least find 15 minutes to journal, structure a scene, play around with character or plot or setting — anything that made me feel like I was at least writing something. That helped a lot and also eased my sense of guilt. But still–wrangling that 15 minutes was hard to do sometimes! I agree. It’s easy to say “find that balance,” but it’s a lot harder to do it. And it changes day by day, because some days we have few outside writing requirements beyond our manuscript; other days we can barely get them done! Frankly I’m not much of a believer in balance, at least not in this sense. It’s funny we’re talking about it now because I have a post scheduled about balance this week. I agree with you about the difficulty in sticking with a schedule. I know mine changes day by day, so I have to be extra diligent when the time to write is available to me. It’s a wonder we’re not all in padded cells!! Great to see your newest post! Im learning in the intentional direction. It took me a while to start journaling. I now journal almost everyday. Next step will be to work on my stories everyday. I finally got a new website but haven’t launched it yet. Will let you know when I do! Tristan!! Good to hear from you!! I’ve been thinking about you and hope that you’re writing a lot. 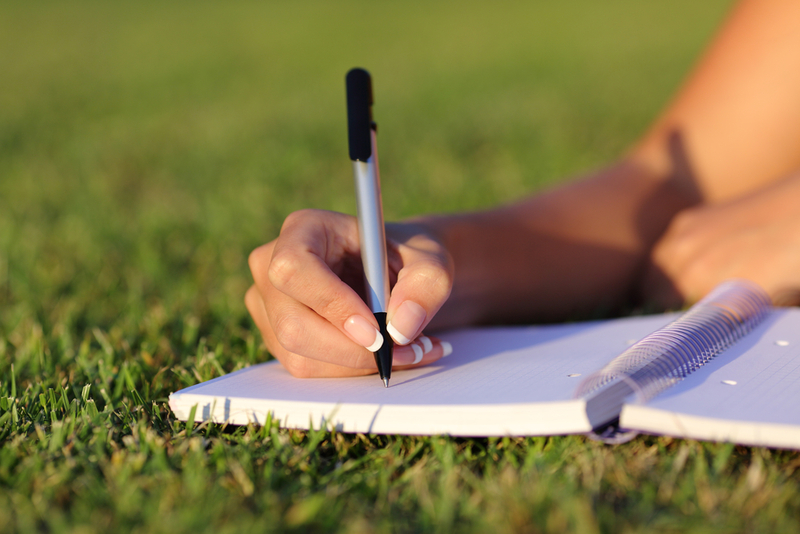 So glad to hear that you’re journaling–I think that is so helpful to our overall sense of being a writer. Baby steps are great!! Yes, please keep me in the loop about your website and anything else you have going on!! I applaud anyone who pursues creativity in any form. We are so often self-critical or self-conscious about our creativity that to be confined by labels seems a shame. I suppose one could argue that those whose creative outlet is writing are writers and those who seek to polish and publish their art are authors? As always, such a pleasure to read one of your thoughtful and uplifting posts, hope you’ve been well! Creativity is underappreciated. We need to shout from the rooftops that we are writers, artists, sculptors, musicians, poets, painters. The more that creativity is accepted, the easier it will be for all of us to accept ourselves as creators. Some people have to have a run every day to sort out their thoughts and handle the stresses of life. I write my stuff out. Much of it, especially lately, is journaled. Some is blogged. My #1 blog has been going for seven years. I consider myself a writer. But an author? Not yet. I love journaling as an expression, and an art form. It’s the raw, brave part of us. Blogging is a great method of communication and sharing some of ourselves with the world. That takes courage, too, but what is extra special with blogging is that you have a support system–something all artists need in this overwhelming, noisy, objectifying world. I love writing stuff, but struggle with everything else (promotion, taking my writing to the next level, thinking about whether I want to make a career out of it bla bla). I enjoy writing 70k stories and people say I am nuts for not caring what happens to them after I have finished. They took me on a journey – is that enough? Yes, absolutely, I think the journey is enough if that fulfills you and brings you genuine joy. Everyone has to follow his or her own path, and it will never match anyone else’s path. This is perfectly fine and is what actually makes the world pretty great–our unique paths. Creativity is personal, you know what I mean? What you get out of it is what matters, and you’ll have to ignore those people who think you’re “nuts” for not wanting to do more with your stories. I call people like that Gloomy Gabs because they are putting their stuff (negativity, dissatisfaction, resentment, etc) on you, and that’s not cool! Just brush off their opinions and judgment and find a team who will support you in what YOU want out of your creative life. Writing is a gift, in and of itself, and you should take pleasure in the wonder of creating worlds of your very own. Self replied with the former, so Imma go with that. Self is a wise soul indeed. Oh gosh, you are a TRUE friend. That job sounds a little dreary, unless the legal documents are exciting enough to spark a story idea … ? I would describe you as an intentional–awesome–writer!! Agreed–writing for the joy of it first and foremost will carry us great distances, no matter our destination! I think if you write you’re a writer. I fall into the intentional category, but would once have been exploratory – sometimes I think it’s just about confidence – so many of us struggle to call ourselves writers if we haven’t had anything published, but we write, therefore we’re writers. Agreed Andrea. I know I wrestled with my own writer identity for years before I finally owned it. Once I did, my writing life shifted drastically, for the better. Not easier, mind you, but better! Hm. A thought-provoking post, no doubt. As yours usually are, Kate! Along these rules, I’d consider myself an intentional explorer. I want to make my stories better, and become a better storyteller in the process, but it’s more about my own joy of being with characters I love than trying to find an outside audience for them. Writers write, just like musicians make music, sculptors sculpt, or artists make art. Not everyone’s a Rowling or a Grohl, and that’s totally fine. It’s all about story, after all. Love that — intentional explorer. You’re probably right. I see you writing for the joy of it, caring about the quality of your work, but you have never altered who you are, down deep, as a writer, based on outside opinions or factors. I see too many writers changing their genres, their story ideas, their goals–based on something someone else said. It is, indeed, all about story. I read a wonderful article on writing that summarized like this: There are 3 three types of writers. You have to decide which you are and what you want. If you want to write, then write. Seciondly, if you want to be published, then self-publish. Lastly, if you want to earn a living, ah, now it’s a job…learn the steps and follow. I agree. I have written and I have been published by 3 different publishers (all short fiction). I have self-published. Now, I am writing a book I wish to sell…we shall see. That’s great advice! I think we all have to find the path that works best for us, whatever that may be. And as long as we’re writing, and caring about what we write, then we’re writers. The job part looks different for everyone, doesn’t it? Maybe that’s where a lot of confusion lies and where some people struggle with whether they can call themselves writers. Even since I wrote this comment, things have changed…my daughter read my “outline”. Now, we are doing a collaboration in conversational style of the book! That was very helpful! Do you have any advice for young writers hoping to be published? Thanks for reading! I do have some advice for young writers, actually. First, write as much as you can. Observe, take notes, be free with your self-expression. Keep a journal and use it often, from storycraft to personal rants, hopes, dreams, plans. Don’t throw anything away, even the rotten stuff. If you need it out of sight, put it in a box under your bed or in the closet, but please don’t throw your work away! Read!! Read widely–different authors and different genres. Set a reading goal for books per year and then review them on Goodreads and/or Amazon. Reviews are great because you’re helping out fellow writers (that’ll be you someday, so always nice to build the Karma! ), it’s great writing practice, AND it helps you tune into what you like and don’t like in stories, or character development, or plot, or just writing style. Find a mentor or a writing coach–it’s a good idea to find someone outside of family and friends, who will offer guidance and support and will read your work and offer constructive feedback. A mentor or coach is especially helpful in the early stages because this person should be a safe place for sharing your rough ideas and your writing angst! Join a writers group when you have a story ready to share (don’t share rough drafts with a group–wait until you’ve gone through a few drafts before sharing). Sign up for online or local conferences, workshops, courses, webinars. Pay attention to the industry. It is always evolving. Follow blogs of lit agents to hear “their side of the story.” Some hold query contests or workshops and can be valuable experience. If you’re considering indie publishing, it’s a good idea to read a lot of indie works to see what is good and what isn’t and ask yourself “Why?” Study the indie market, as that too, is ever-changing. I’ve found that I am more of an intentional. However I do posses some of the qualities of the exploratory writer. This was extremely informal! Some combination of intentional and exploratory characteristics is extremely common, especially in beginning or mid-level writers. As long as you’re in a good place with your writing emotionally, then you will continue to grow and build your skills. 🙂 So glad you found the post helpful! Oh, sorry, I just meant feeling fulfilled and satisfied with your writing journey. 🙂 It can be a really rough road and it can take a lot out of you. But as long as you’re feeling good about your progress, then everything else will fall into place. Very helpful tips and we all aspire to share our work with other folks. Thank you for that.. Welcome, Hanooyaa! I’m glad you found the post helpful. Sharing our work with others is a privilege, and it is so important to do it with care. Luckily, we have a wide range of options at our disposal and we just have to find the best path for ourselves. I hope you have a writerly day!! As one writer to another, I really enjoyed this post and plan to follow you from now on. Hi Kayla– that is music to my ears! Just to let you know, this URL will be closing down in a few months, but I’ll be blogging over at my coaching website, katejohnstonauthor.com. I look forward to seeing you there! Thanks for warning me I’ll be sure to check out the other! Thanks for these observations. They’ve helped me crystallize some of my own approach to writing. You’re very welcome! More often than not, writers are a funny combination of the two extremes; many of us fall somewhere in the middle of the spectrum. Nice to know that you can change practices to move in either direction though. Thank you for swinging by and commenting! I have been one of the writers of ambiguity you mention above, Kate. 🙂 But I am inching closer and closer to the intentional writer. Starting to write again in September 2014 after eighteen years of writer’s block (nothing), going back to school (online university) for an undergraduate degree in English Creative Writing, continuing to write stories of various lengths, and my blog encourages me to become a full-time intentional writer. 🙂 Thanks for the encouraging read. Somehow, this comment slipped past me. I’m so sorry that I neglected to reply!! Gosh, 18 years of writer’s block sounds dismal. But, unfortunately, these gaps in our imaginations happen, and sometimes we’re able to pin down the reasons; other times, not. Blogging is a wonderful way to kickstart the writing, especially when you can find a supportive community. I wish you continued success in connecting to your muse!! Great blog and excellent points! I love it!!! Who are we really? Great post! All writers are different, and what works for one won’t work for another. And sometimes, you may shift from one kind of writer to another. Hi Andrea, thank you for the invite. I’m excited to check it out. Have a writerly day! Though I’ve just launched myself as a writer in 2017, there have already been many lessons learned. In the review of the year to becoming a writer, three things come to mind. Impeccable determination against all the odds, freedom through your creativity, keeping an openmindedness. Congratulations on your emergence as a writer!! Being open to learning and growing is one of the BEST ways to launch your writing life. I love the lessons you have learned; they will serve you well in the years ahead. Good luck!! I have lived both of these. Although I still continue to write for pleasure and because it’s how I sincerely express myself, I have moved more into the intentional realm. I seek out opportunities to try and turn my craft into a way of living, but I have never been motivated by money. If a few dollars filter through my banking account, yay! But I find more pleasure in hearing from a person who has read a piece of my work and tell me how much they enjoyed it and were able to relate to it. No, I haven’t given up my day job to pursue a writing adventure, there’s still rent to pay, but I do intentionally seek out opportunities. I don’t believe in an either, or. I am both exploratory and intentional. So many writers carry a combination of exploratory and intentional traits. You are in good company! I’m with you on this score: “I find more pleasure in hearing from a person who has read a piece of my work and tell me how much they enjoyed it and were able to relate to it.” Indeed!! Inspiring someone else with my stories, or brief ideas is one of the main reasons I write, too. Actually, I think writing to inspire our readers is a more sustainable reason than a financial one, across the board. Thank you so much for swinging by and commenting. Enjoy your writing journey! When I first started writing, I was strongly exploratory. Now, I am a mix of the two. Writing has become a priority for me now and I am considering publishing, but I still have that need to write and experience withdrawal if I don’t write for awhile. When I’m not already writing or at work, I’m thinking about writing. Thanks for the post! Very insightful. I feel that most writers start off as exploratory because that’s how we are naturally as humans. Added to that is the probability that most writers began writing at a young age–too young to understand (or care about) the fundamentals of a good story. They just wrote a story! As we continue on our journeys and learn more about ourselves, we have had to become more intentional by default. There comes a point in the road when a writer makes a choice between the two extremes, and I think your situation is a perfect example. Choosing the path of publishing certainly requires intentional characteristics, but you haven’t lost touch to the core reason you write, which is for the pleasure of it. Sounds to me like you are at an exciting point in your journey! Good luck with your writing and thank you so much for swinging by and commenting!